Life is unpredictable but AKORIN Finance are here to make sure you and your family have the support you need if times get tough. We will find you excellent rates and terms on life and trauma insurance here in Adelaide. Life insurance will provide you with peace of mind, knowing that regardless of circumstances your family will be financially supported. The money they receive in the event of your death could include funeral expenses, a lump sum and even a safety net to pay off debts you have acquired in your lifetime. Trauma insurance is also known as critical illness or recovery insurance and is designed to support you when you need it most, giving you the time to concentrate on getting better without the worry of your finances halting your recovery. With comprehensive trauma cover you could receive a lump sum of money, treatment costs and money to enable you to take time from work. 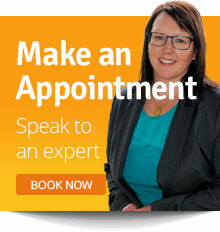 Why Choose Adelaide’s Life and Trauma Insurance Experts? We understand your need for a competitive deal with the most comprehensive cover available. AKORIN Finance work quickly and efficiently so you can get on with living your life. We work for you and will give you independent and impartial advice. Life and Trauma cover is not something you want to delay as you never know what is around the corner. Protect yourself and your family today. Invest in a safe and secure future by contacting us today.